System 0505: The Mycra System. After our party was separated from each other in Interstellar Exports Game 3, it took until Game 6 for them to be reunited again. By chance, they both ended up in System 0506 The Mycra system. which is where we will be looking! 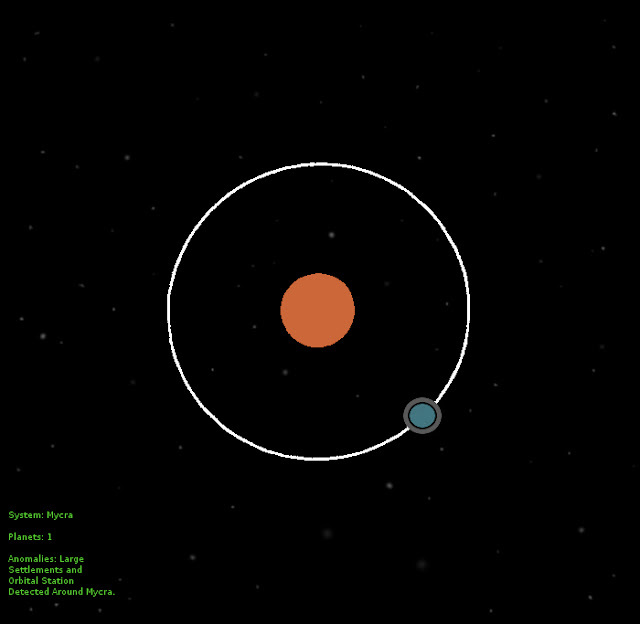 Mycra is a small "backwater" system, with only a single earth-like planet and a large orange sun. 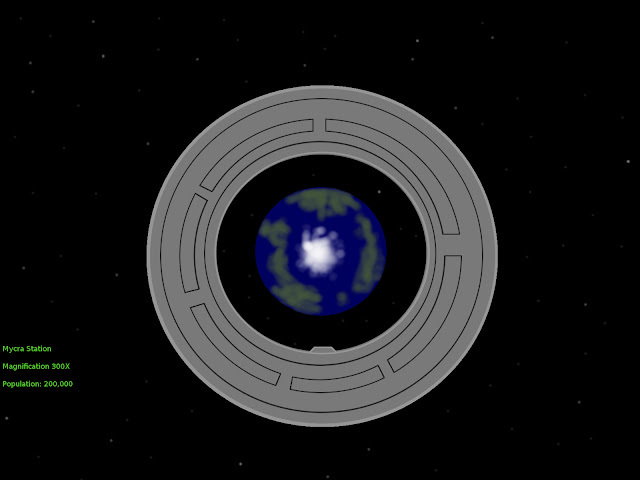 Perhaps the most interesting feature of Mycra is the huge orbital space station that surrounds the entire planet. 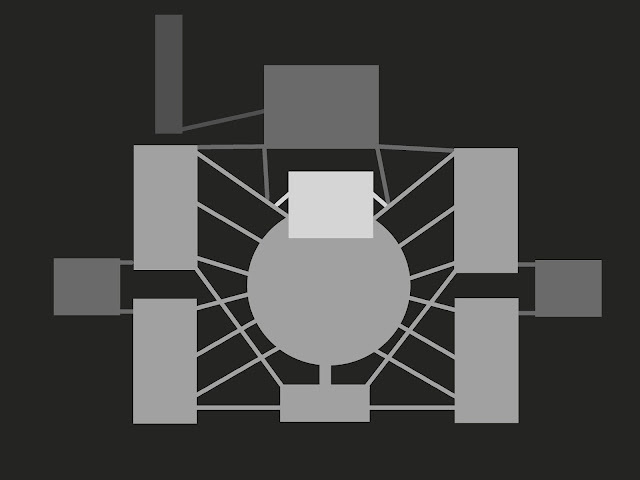 This station serves as the space port, and as a tourist attraction in the system. On paper, Mycra is ruled by a Theocracy. They are a strange religious order that believes in giving up the material way of life... In reality the planet is controlled by the Megacorp Interstellar Exports and the sinister Draco Syndicate. Mycra has one gigantic city, that house 90% of Mycra's population, the rest live in smaller rural communities scatter around the globe. When the crew arrived, Mycra was in the middle of a religious festival, which saw many pilgrims coming to relieve themselves of their worldly possessions and thus become closer with the energy of the universe. These possessions are dumped into a large reclamation pit in the largest temple in Mycra City. The priests claim that it atomizes the possession and returns their essence to the universe, but the reality is far less divine. The complex under the temple. The items given up are in fact not atomized, but are collected, catalogued and resold by both the Draco Syndicate and Interstellar Exports. The Draco Syndicate muscled its way into control of the "out-of-the-way" world years ago, and their recent alliance with Interstellar Exports has made it all the more lucrative. The next jumps sent our party hurtling through two previously unexplored systems, before they were able to get back on track, but we will take a look at those next time in the Maps of Interstellar Exports Part VII!